When contracting us to handle your shoot whether it be wedding, portrait, product, professional headshot or real estate photography, we use absurd levels of attention to detail. LiveforBlu works with the latest Sony mirrorless camera bodies and lenses to get the sharpest and richest shots. And we have fun doing it! 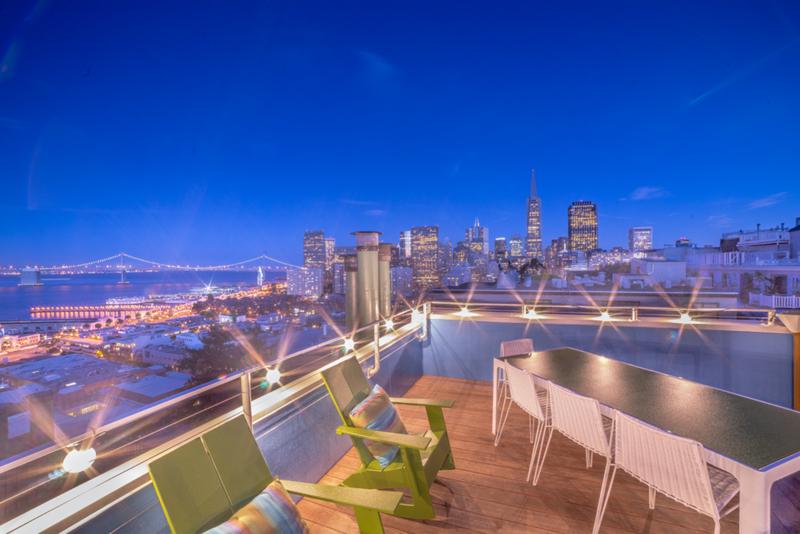 On location with Sotheby's: The shot above was taken from private rooftop deck for a home listing atop Telegraph Hill, San Francisco. Real Estate and architecture have been a huge passion of Cameron's since he was in high school drawing various buildings through his studio art classes. Getting entrenched in real estate photography and shooting beautiful property was a given and this is one of our favorite scopes to shoot. On separate assignment with Sotheby's International this is an image of a large apartment located in the Pacific Heights neighborhood of San Francisco. Using the latest HDR technology and wide angle lenses we achieve the sharpest images with warm tones and an even exposure with windows and interior lighting coming together.